Brown butter made me do it. After spending most of last weekend on the couch, trying desperately to fight off a nasty cold (thank goodness for Criminal Minds on Netflix), I have been craving zero vegetables and every carb imaginable. Why is it when we get sick all nutrition goes out the window? Do I want the leftover kale salad in the fridge OR do I want to send the hubby to the store to get the ingredients for mac and cheese? < —- this. Oddly, even when I’m sick I have an appetite. While my typical “under the weather” food alternates between buttered noodles and buttered toast (are we seeing a pattern here? ), I was craving nothing more than a giant bowl of mac and cheese. Well, my kinda mac and cheese – elbow noodles smothered in a sweet potato sauce. I first made this sauce last year and have been loving it ever since. Since I always have sweet potatoes lying around the house, I can usually get my mac and cheese fix in less than 20 minutes. I’m not sure if it’s all the Thanksgiving cheer in the air, but I had a strong desire to add sage to this last batch. And brown butter. Yep, we have definitely left normal-town and hitched a ride to flavor-ville! 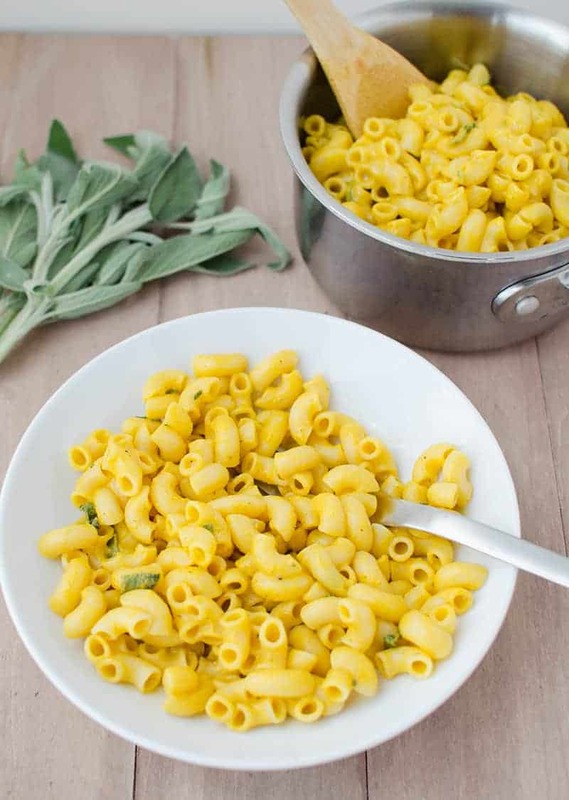 This mac and cheese is grown up and bursting with savory sage and richness. I’ve been dreaming about brown butter everything since I saw these mashed potatoes on Pinterest a few weeks ago. Of course, we aren’t getting too crazy with the butter, just a tablespoon or two for an extra layer of flavor. I may have been sick, but my appetite for nutrition didn’t go completely out the window. Slowly simmered until it was nutty and brown, with a few sage leaves thrown in for good measure. 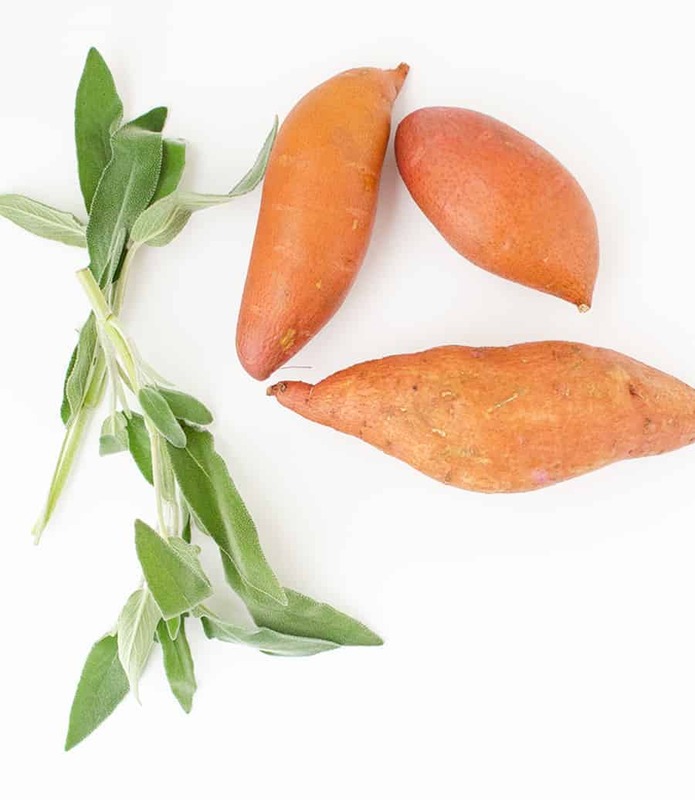 Then, we make our sweet potato sauce like normal, adding in the reserved brown butter and crispy sage leaves. So- how does it stack up nutritionally? A big bowl (1/6 of the recipe) contains 380 calories, 8 grams of fat, 10g of fiber and 14 grams protein. Not bad for a bowl of mac and cheese. You also get 110% of your vitamin A requirements and 10% of iron needs. Happy early Thanksgiving to all of you! I am SO thankful you choose to take time out of your day to visit Delish Knowledge and say hello. Having this space to share my nutrition thoughts and recipes with you means the world to me. Thank you for making it possible. Wishing you all a relaxing and fulfilling holiday. Armed with podcasts and playlists, we headed out early this morning for a long road-trip to Vegas. Since it’s only the two of us this year, we’ve opted for a pool-side (and blackjack side for BL) Thanksgiving with dinner at Giada’s as the headliner. 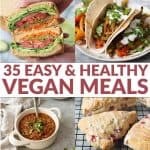 As much as I love cooking, I’m excited to do something non-traditional this year. Plus, no dishes so win-win-win-win. I’ll be back on Friday with my monthly roundup of favorite new products and a giveaway! Sweet Potato & Sage Mac and Cheese! 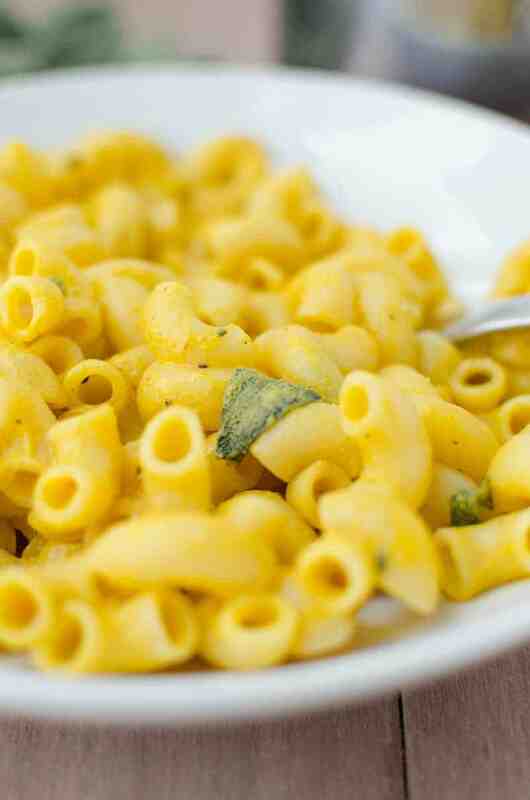 Cheesy mac with a hint of sweet potato & sage. You will love this twist on traditional mac and cheese. In a skillet, heat the 3 tbsp. butter over medium heat until brown. Add in the sage leaves and cook for 5-6 minutes until crispy. 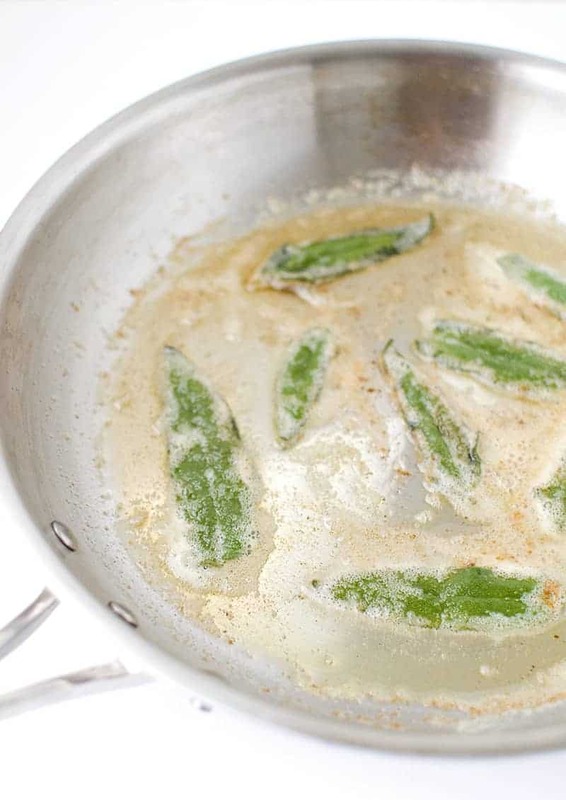 Remove the sage leaves from the butter. Set aside. Bring a small pot of water to a boil. Add the sweetpotatoes, reduce to a simmer and cook for 15 minutes until fork-tender. In a separate sauce pan, add the reserved sage margarine. Add the cornstarch to the soy milk and whisk together until smooth, add to the sauce pan and whisk together. Add the rest of the ingredients: nutritional yeast, minced garlic clove, dijon mustard, onion powder, cayenne pepper, lemon juice and salt and pepper. Reduce heat to medium low and cook until thick. 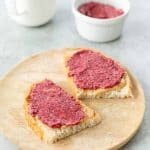 Add the sauce to a high powered blender. Once cooked, remove the sweetpotatoes from the pot and drain. Add 1 cup of cooked sweetpotatoes to the blender, process until thick and smooth. Add in the remaining sage leaves and pulse in a few times. Season to taste with salt, pepper or red pepper flakes. No way i didn’t know you could brown Earth balance! Cool!! Thanks for the shout out on my mashed potatoes 🙂 I’m the same way. When I’m sick I want to eat crap. It’s called COMFORT food for a reason right?? PS Alex did you get my FB group invitation? Some of us locals are getting together next week to hang. Check it out, I hope you can come! I’m pretty jealous of your non-traditional Thanksgiving- it wouldnt be hard to get my husband on board for a Vegas trip- have an amazing time!! PS this sounds great for my leftover sweet potatoes- I’m assuming I could also use pumpkin puree?? Oh wow, this looks incredible! 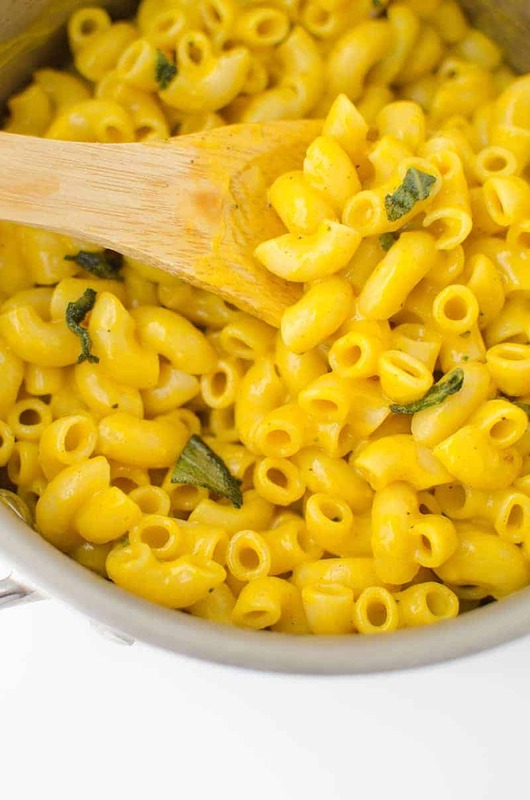 Mac & Cheese is probably my #1 go-to comfort food. I’ve made it a million ways and now I can’t wait to try out your recipe! 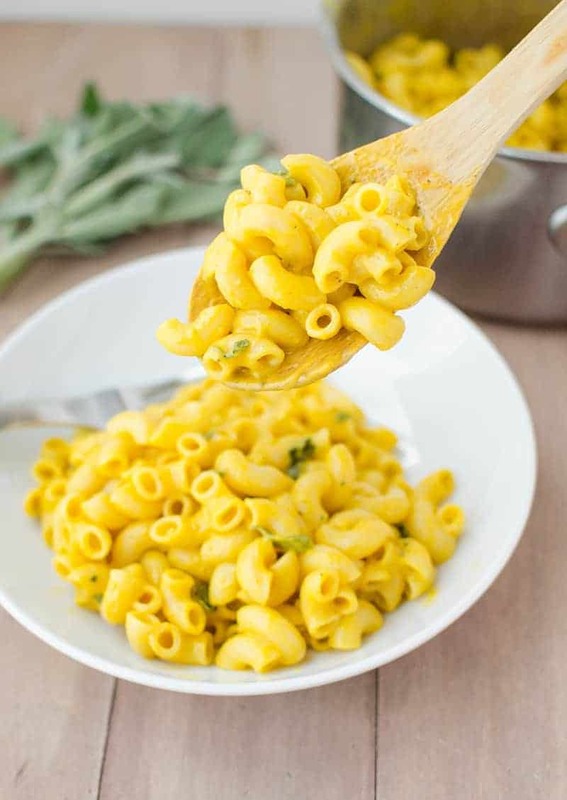 My mac n’ cheese loving toddler would ask for 3rd’s of this recipe!! Can’t wait to try! Happy Thanksgiving, friend! I hope you’re feeling better! Love everything about this recipe. The flavor profile with nutritional yeast, Dijon, cayenne, and sage…YUM. I put your blog in my favorites, I love your advices. Ha! 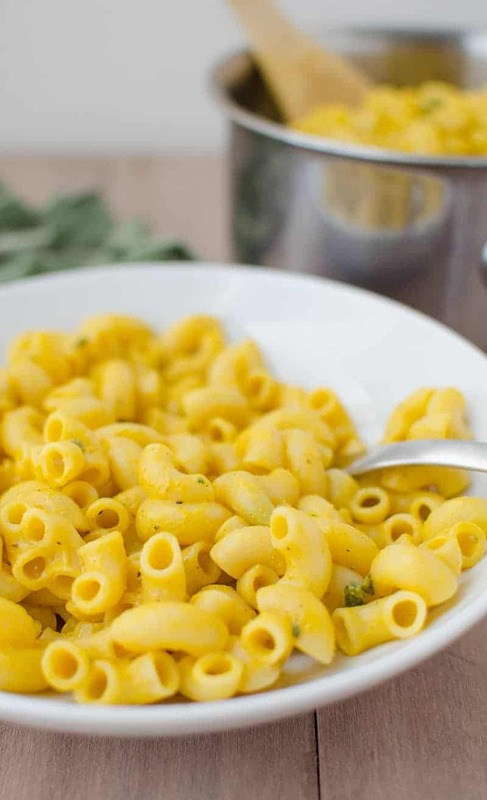 You know this is NOT the food police blog 😉 I love cheesy mac and cheese, especially the “liquid gold” stuff from when I was a kid. This is one of my favorite alternatives. You can taste the sweet potato but honestly, a big bowl of this and I don’t even miss the real stuff. Hope you try it! Wow, excellent option to the cheese variety. BTW, the kids loved it. Thank-you! So glad you loved it!! THANK YOU for sharing!